Set includes calibrated and pre-weighed amounts of buffer powders at three pH values (pH 4.0, 7.0, and 10.0) for testing or calibrating your pH meter. 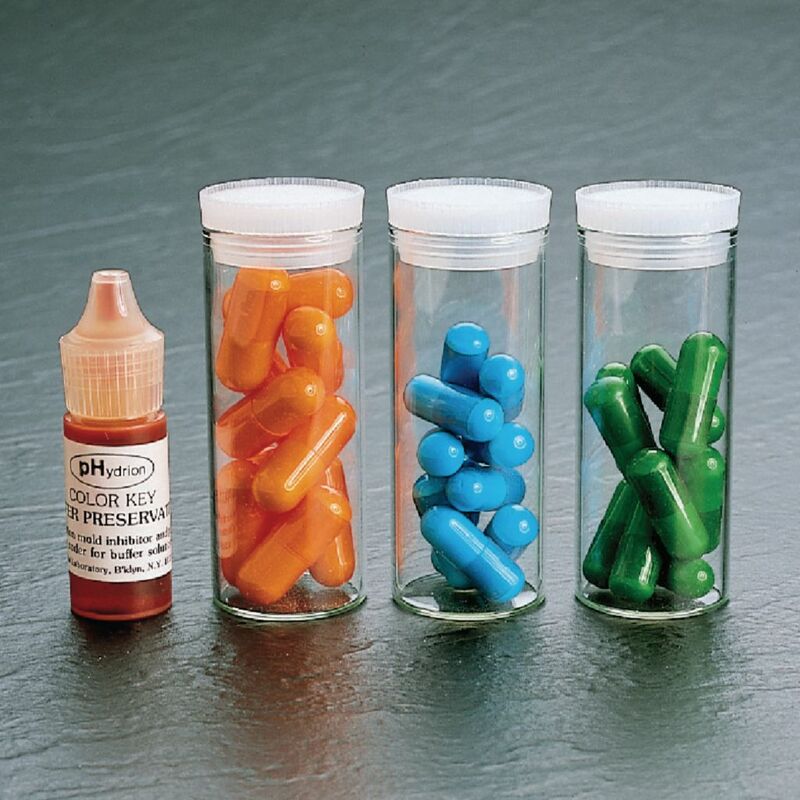 Powders come in capsules and each is sufficient for 100 mL of buffer solution. Includes: 10 capsules for each pH value and a vial of buffer preservative.